Welcome to the East Berkshire College, home of our toddler and kids football classes and club in Langley. 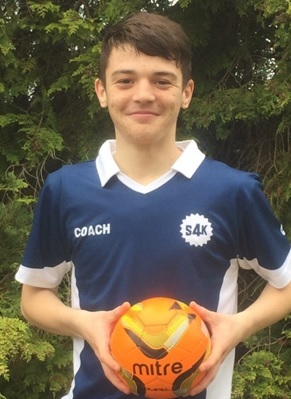 Our S4K Football program is based on the Dutch Coerver, Spanish Tiki-Taka and Brazilian Futsal coaching techniques. We develop our children's mini and micro motor skills, using the Montessori teaching method and the best practices from child psychology and children's learning. Each class has a dedicated curriculum and Practice@Home book so that you can help your child to develop their skill level outside of the class. The S4K Camp is like no other holiday and activity camp. We operate from 8-6pm during school half terms and holiday periods and offer a wide range of activities. 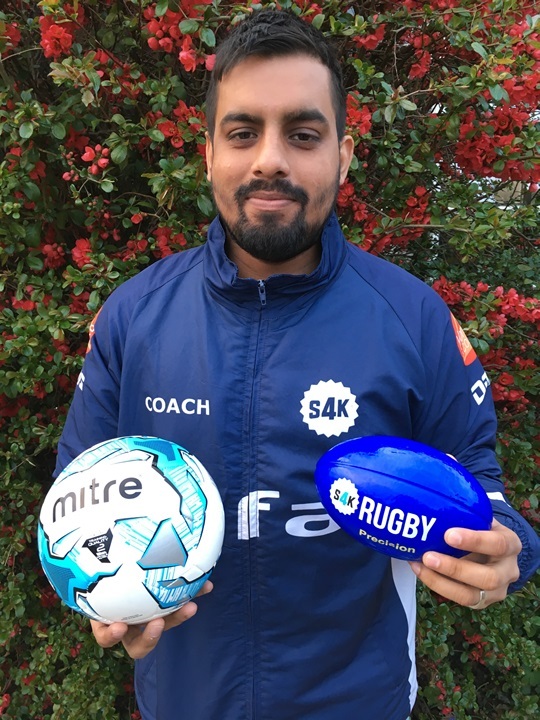 From football to rugby, tennis to golf, Nerf to bouncy castle and dance to disco diamond cricket, every child is guaranteed to leave with a big smile. We also operate dedicated sports camps for football and dance. 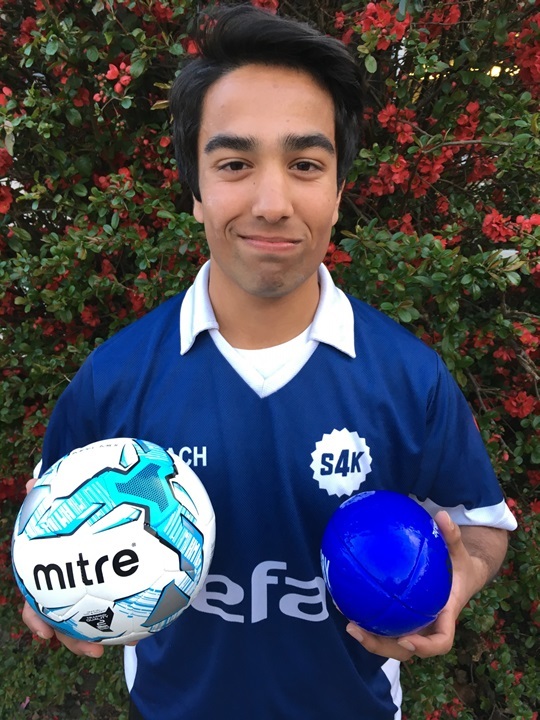 Your closest camp to East Berkshire College is Windsor and you can find out more about S4K Camp by clicking here. To find us, you need to head to the rear entrance to the college (not the main glass fronted entrance). If you are travelling via Langley High Street on the B470, you will need to turn LEFT at the mini roundabout and then the parking will be on the right hand side after around 100 yds. If you are travelling via the Langley Road, you will need to turn LEFT before the mini roundabout straight into the sports facilities. 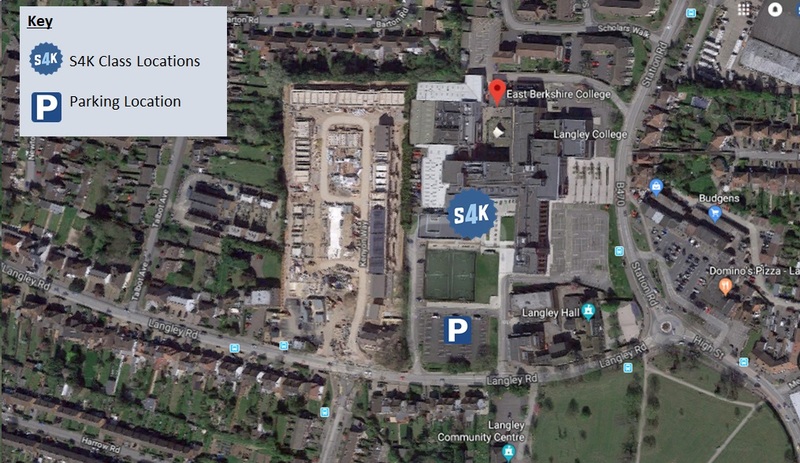 If you are arriving from Station Road, you will pass the college main entrance on your right and then turn RIGHT at the mini roundabout and the parking entrance will be located on the right hand side. Enter site and follow the signs to find "Absolutely Fitness". The college is currently undergoing a large scale refurbishment, so please park on the left or right hand side. There are signs that will direct you towards "Absolutely Fitness" and you will pass down an alley between a wall and the newly built 3G pitches, before reaching a metal gate. 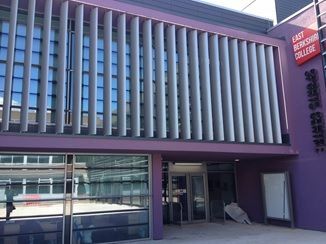 The leisure centre facility will be located right in front of you and the coaches will meet you in the sports hall.